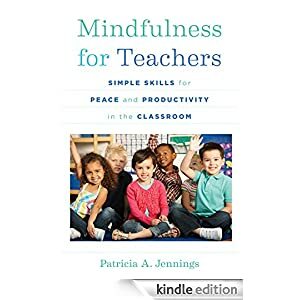 Our guest today, Dr. Patricia Jennings, speaks with us about her upcoming book Mindfulness for Teachers: Simple Skills for Peace and Productivity in the Classroom. I have a prediction. In a different podcast than Present Moment, one of the guests suggested that mindfulness was on the way out, that it wasn’t going to last. I have a different notion, however, and am going to double down on my confidence that mindfulness in some form is here to stay. My prediction is simple: in the same way that more traditional forms of yoga have become mainstream and are increasingly being taught in our K-12 educational system, so we shall see an increase in mindfulness programming in our schools, gaining ground that traditional religious contemplative education hasn’t and shouldn’t. Of course, that means growing the body of competent mindfulness teachers, who themselves need the resources to facilitate their students not just learning how to think, but learning how to be. Dr. Patricia Jennings is Associate Professor at the Curry School of Education, University of Virginia. 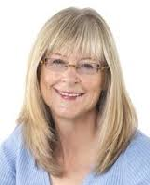 Dr. Jennings received her doctorate in human development from the University of California, Davis, and completed postdoctoral training at the Health Psychology Program at the University of California, San Francisco. She lead the CARE faculty team in the development of Garrison Institute’s Cultivating Awareness and Resilience in Education (CARE) and she is conducting research to examine how CARE may improve teacher-student relationships, increased student pro-social behavior, a more positive classroom atmosphere and improved student academic performance. In addition to psychological research, Dr. Jennings has over 22 years of research and teaching experience in the field of education.